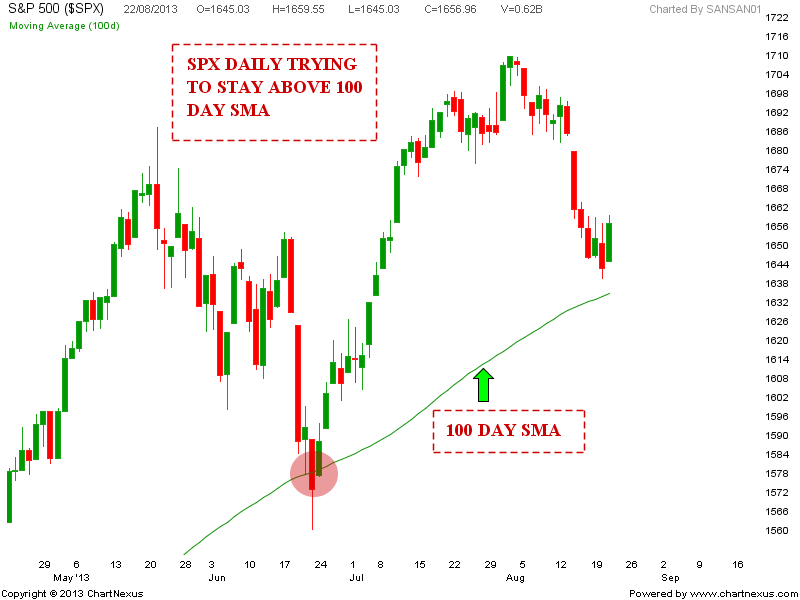 Daily chart trying to stay above 100 Day SMA. 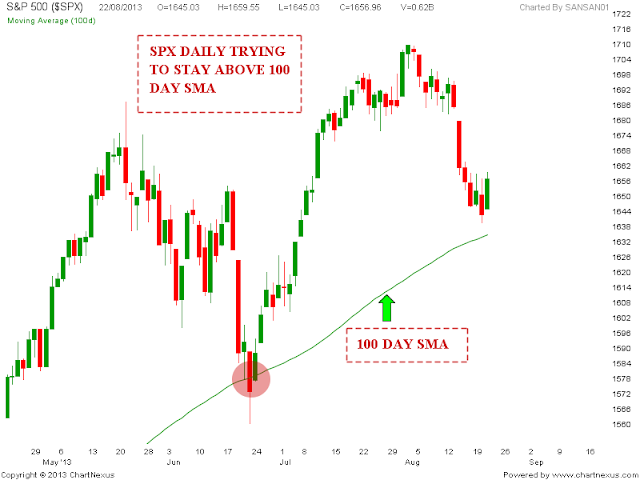 Week is trying to turn up from 20 Week SMA. 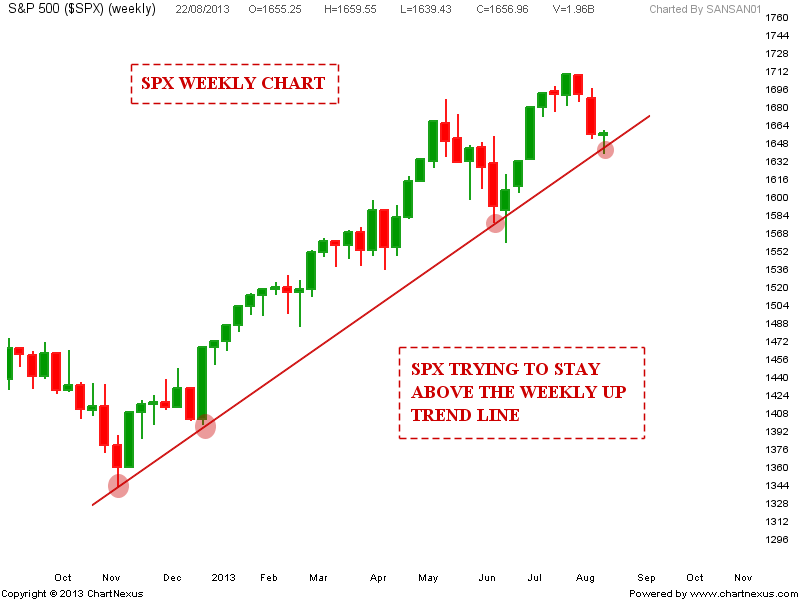 Weekly up trend line trying to support the fall. Weekly closing tomorrow will be crucial. 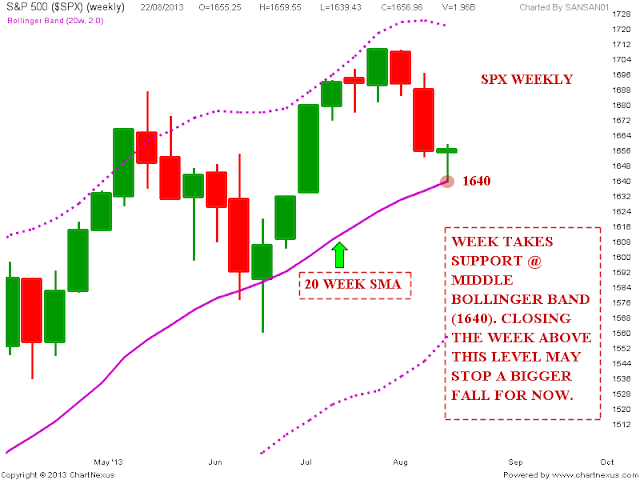 Closing above the weekly support levels may extend this bounce.